Last night we recorded yet another episode of AggroChat, and I was joined by Ashgar, Kodra and Tam. Still no signs of Rae, but she has been absent in a lot of things lately. I think she is just going through one of those periods of seclusion, that I occasionally find myself in. I went into last night not thinking we had a whole lot to talk about, but once again we managed to ramble on for an entire show. This week Ashgar, Kodra and Tam have been spending some time playing Endless Legend a relatively new 4X game that spawned from a rather steam early access program. From what it sounds like it is a really interesting take on the traditional civilization game model. Throughout the discussion it reminded me in no small part to Age of Wonders but with more original fantasy race combinations. Thanks to a sale on Steam Tam delved into the rather critically acclaimed Shadows of Mordor. When I originally saw the trailer I thought… “man this is a Tam game”. He loves all things stealthy, and by the same token I thought “man this is not a Bel game”. At least the second part of that statement might have been wrong. It sounds like there is plenty of carnage and mayhem, and a super interesting nemesis system to keep players busy. Essentially if I could manage to struggle through the stealthy bits, there is probably a really enjoyable game there waiting. One of the cooler ideas is that apparently your friends nemesis characters… will join your game and hunt you down too. So in theory you could unleash some living nightmares on your friends if you end up letting them level up too much. 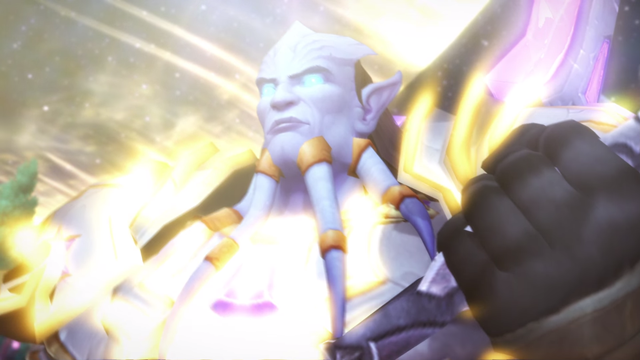 Finally I delve into the topic of Warlords of Draenor and my return to the game. I still stand by my original statement that if you have no interest in World of Warcraft, this expansion will do little to change that. However if you are like me and still have at least a passing interesting in the game, or have a huge vault of nostalgia towards the Burning Crusade era… this is going to be like crack. Right now I am finding the game extremely interesting, and we ramble on talking about it at length. So while I thought we didn’t have a whole lot to talk about, it turned out as the night went on that we still managed to fill up a show full of verbal faffing. One of the points we landed on last night that I find extremely interesting might also be the reason why I am enjoying this expansion, but I don’t feel like someone like Tam would. Ultimately I think it depends on how you felt about your experience in Burning Crusade as a whole. For me Burning Crusade was really the expansion where I came into my own as a player, and became “Belghast”. 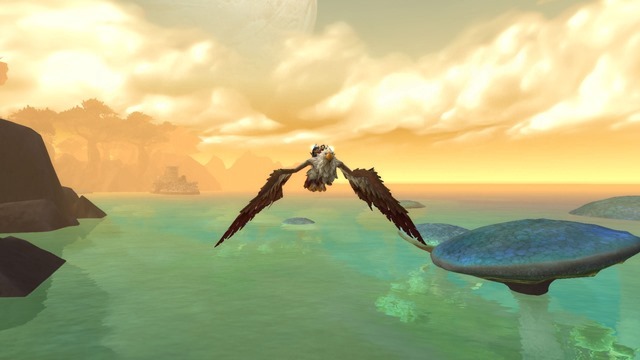 I started my WoW raiding life as a Hunter, but that was a class I had never actually intended on playing. Originally I wanted to play a tanky paladin, but the bait and switch when they replaced the strike system with the seal system… and the fact that at low levels paladins were frustratingly slow to level solo caused some problems. I had a death in the family shortly after the launch of the game, and when I came back most of my friends had shot far ahead of me, leaving me to have to solo almost entirely. At that point the Hunter was the king of soloing all things, and as such I picked it up and caught up to my friends rather quickly. I can’t say I disliked playing Lodin my hunter, but it just wasn’t the class I had ever intended or imagined myself playing. Then one thing lead to another, and a good friend needed a hunter for his raid… and bam I ended up becoming a raiding hunter. I loved the Late Night Raiders group of hunters, and many of them I am still close with even today. However i never really excelled as a hunter, because my heart was not fully into it. I could do better than average damage, and had decent enough reflexes and was reliable as part of a rotation… but I had no passion for it, at least not the way the other hunters did. However as I started accepting gear from the raid, I felt bound by loyalty to keep playing that character as long as they needed me. With the launch of Burning Crusade it was this great reset button, and I seized the opportunity with both hands. I half heartedly tried to level Lodin at first, but quickly found myself exclusively playing Belghast my protection warrior, and became a much needed tank as we all leveled up. 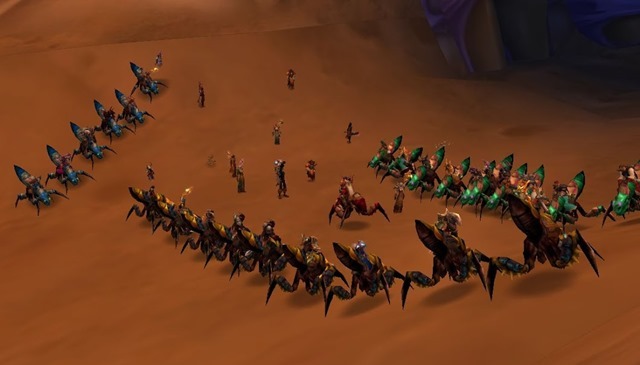 The Burning Crusade could be thought of as the great raid killer, because all of the changes… all of the moving characters around and dropping the standard raid size from 40 to 25 man ultimately was the final blow to many raids on our server that had only been limping along for some time. Here is where the perspective comes in because while I was just an admittedly well liked member of the raid… Tam was one of the leaders of it. So while I viewed everything as this grand opportunity to do the things I had always wanted to be doing… his viewpoint had to be decidedly different. I know when my second raid “No Such Raid” fell apart around me it took a lot of our me personally. I had that raid dumped in my lap, and with the figurehead in its cult of personality gone… there was really no amount of duct tape to keep the ship afloat. So while I personally view Burning Crusade as this expansion where I got to finally move into the role that I had been designed for… others might not have quite the hopefulness that I did. I remember when the expansion hit, there were a lot of raid members that were frustrated by the gear reset. In fact they were down right mad that all of this work that they went through and effort they put into getting just the right items… was to be immediately erased the moment they stepped foot into Hellfire Peninsula. Expansion are the great equalizers… they give players the opportunity to shift focus, and pick up something that they had always wanted to play but were never given the chance to. With the launch of Warlords of Draenor I am doing just that myself. I felt it was fitting for me to be setting aside my Deathknight and once again taking up the mantle of Protection Warrior. Last night during the course of the podcast, Tam uttered the words above.. “Sell Me on Warlords”. In truth I couldn’t nor would I really want to. Warlords of Draenor is more of the same, with a prettier coat of paint and some nifty casual friendly features like the Garrison. I feel this is an expansion that only those who still begrudgingly feel love for World of Warcraft in their hearts should ever try and play. The game has some serious shortcomings still as compared to more modern MMOs. It pisses me off on an almost nightly basis that it doesn’t have a mentoring system, nor does it have a content scaling system for dungeon runs. I greatly prefer that Final Fantasy XIV sizes down the players to fit the dungeon, so that there is never a case where you straight up roflstomp the content. This came up the other night when Zeli and Jabberant started characters and used their boost to 90 to create them on Argent Dawn. Jab asked if there was a way to go back and experience the old dungeon content… and sadly unless you mean by soloing with great ease… the answer is a resounding no. So I can’t really sell Warlords as the next best thing since sliced bread. I still think that functionally Final Fantasy XIV is a better game. That said I am happy that I don’t really have to make the choice between them, In fact I have been extremely thankful to have FFXIV that I am still deeply connected to as Argent Dawn has burned down around me. What Warlords represents is a game with the charm and grace of any Blizzard title. The recent performance issues still do not degrade the fact that the game is extremely well crafted. At the end of the day it is an old game, with a fresh coat of paint… but it is a very enjoyable game still. The content itself I am finding more enjoyable, because they took the lessoned learned with the Timeless Isle and extended them out to the world as a whole. There is so much to see and find, and so many neat rare mobs to take out along the way. It is like they gave me carefully crafted crack just for me… because I love getting interesting loot and killing interesting things. If you hold a special place in your heart for Draenor… it might be a worthwhile time to return as well. At this point I still have not actually renewed my account… but signs are pointing to that I will be doing so. One of the recent sagas in my life that has somehow managed to stay mostly out of my blog is the ongoing issues I have had with my laptop. I feel like at this point I deserve an honorific of “laptop killer” because I seem to be exceptionally hard on them. My Asus Republic of Gamers laptop lasted about two years, and I loved it dearly… until something went wonky with the motherboard and kept it from charging the battery. Then I got the SLI configuration Lenovo y500 laptop… and I too adored it. Ultimately I think it was pretty much my perfectly laptop, until a few weeks ago I went downstairs to boot it up… and it refused to go past the Lenovo splash screen. I realized unfortunately that it was out of warranty, so I ended up posting on the Lenovo support forums.. and as of yet have not received a response. So over the last few weeks at my wife’s urging we have been watching craigslist to see if we could find something interesting. In the past when I have been without my laptop, I have been in a state of utter panic… however this time around I have tried extremely hard to be zen about it. We saw a few interesting things but either the poster wanted more than I was willing to pay for it, or after some exchanges of texts I found out that the video card would be too underpowered for my purposes. All of this while I did not realize that my wife had also been searching craigslist on a daily basis. Thursday night she happened across a post on the Oklahoma City craigslist, for someone selling a Lenovo y580 a model slightly newer than mine… for a ridiculously cheap price. My wife did not even bat an eye at the thought of us making a trip to Oklahoma City, entirely for the purpose of getting me a laptop from some random seller on Craigslist. I am exceptionally lucky and thankful that I have a wife that is so supportive of all of the random otherwise meaningless activities I engage in on a daily basis. She knows all of this is important to me… and while she doesn’t always grasp the reason why… she constantly surprises me at just how much she is willing to do in support of my madness. So yesterday went took a two hour trek to Oklahoma City, looked over the laptop… and today it is sitting beside me downloading various things. Of course we made a trip through all of the Half Priced Books stores in the area, since we don’t have those in Tulsa… so it was not entirely about the laptop. Still I am extremely thankful to have a partner willing to jump through so many hoops for my happiness. It’s 2014 and FF14 is a better version of WoW than WoW is.